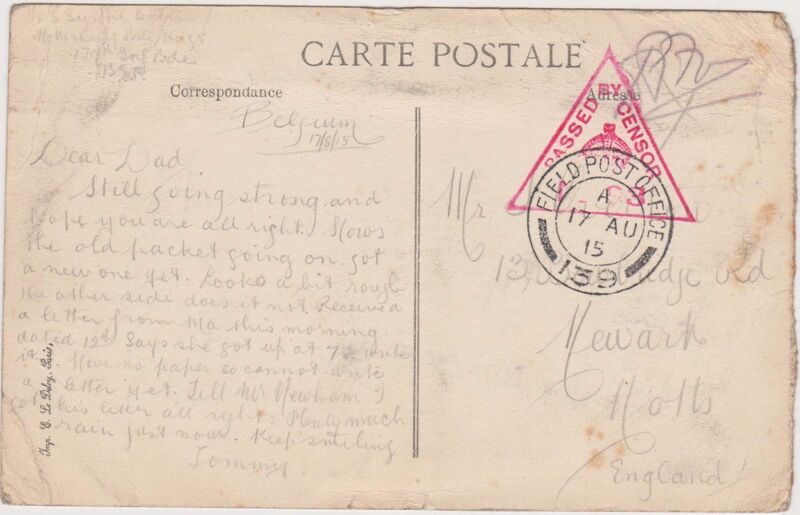 Field Postcard from 1762 Cyril Richard Overton to his father written on the 17th August 1915. Still going strong and hope you are all right. Hows the old packet going on. Got a new one yet. 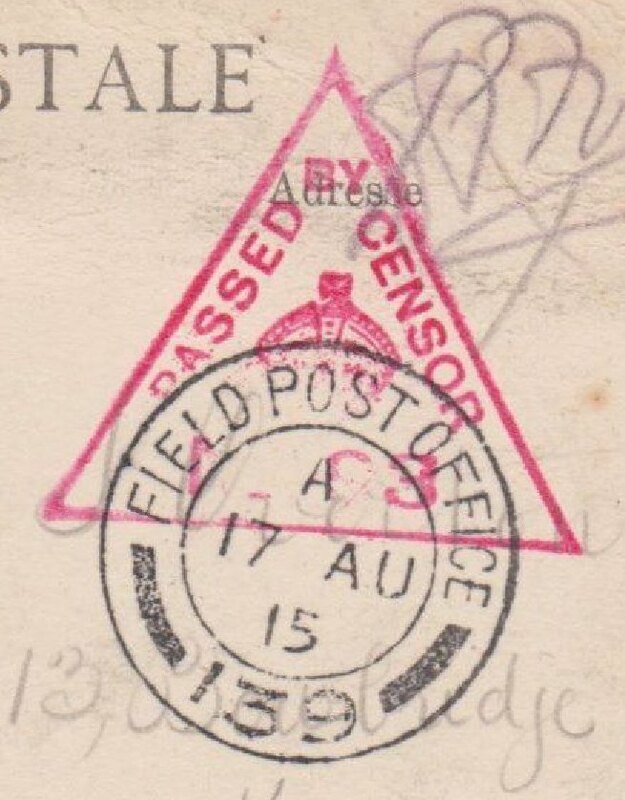 Looks a bit rough the other side does it not. 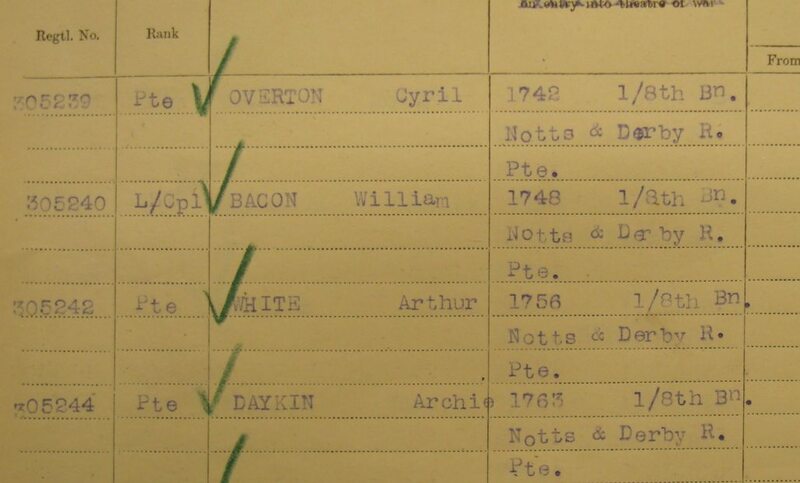 Cyril Richard Overton, born in 1884 in Newark, was the son of Isaac and Sarah. 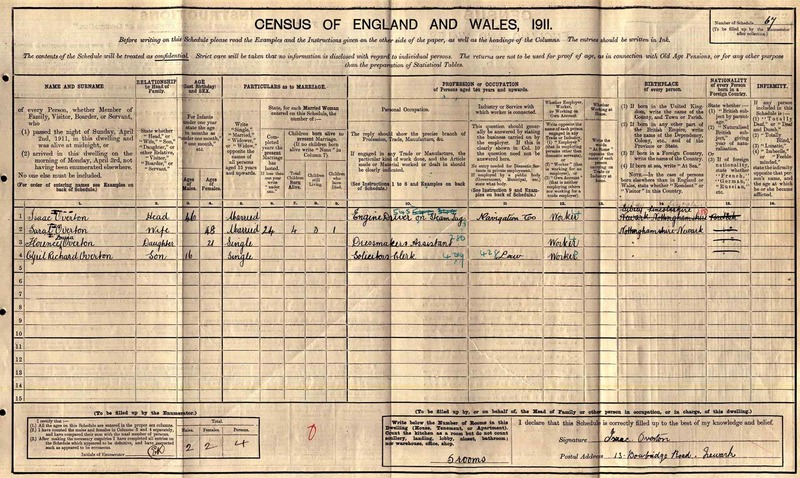 The 1911 Census records Cyril’s profession as a solicitors clerk and the family lived at 13 Bowbridge Road. 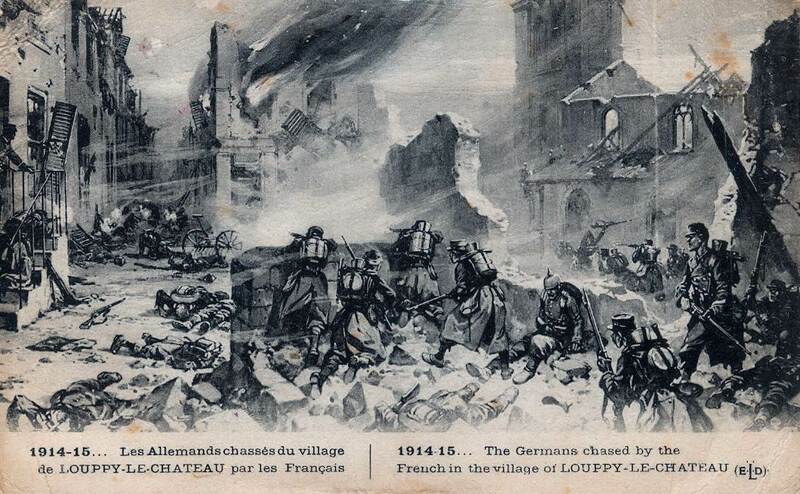 Cyril arrived in France with the 46th Division on 2nd March 1915 and was eventually disembodied on the 6th April 1919; 4 years later. 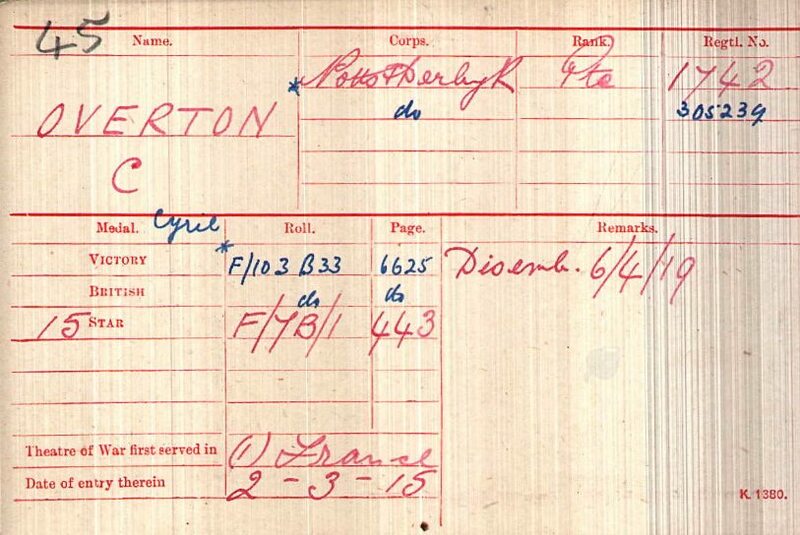 Cyril only served overseas with the 1/8th Battalion and was renumbered as 305239 in the spring of April 1917.